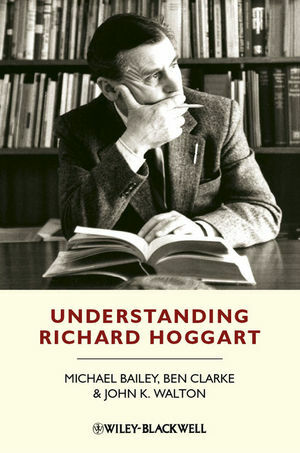 With the resurgent interest in his work today, this is a timely reevaluation of this foundational figure in Cultural Studies, a critical but friendly review of both Hoggart's work and reputation. Michael Bailey is Lecturer in Sociology at the University of Essex, UK. He is the editor of Mediating Faiths: Religion and Socio-Cultural Change in the Twenty-First Century (with Guy Redden, 2011), Richard Hoggart: Culture & Critique (with Mary Eagleton, 2011), and Narrating Media History (2008). Ben Clarke is Assistant Professor of Twentieth-century British Literature, University of North Carolina at Greensboro (UNCG), USA. His Orwell in Context: Communities, Myths, Values, appeared in 2007. His research interests include working-class culture, the public house, and Englishness. John K. Walton is IKERBASQUE Research Professor, Department of Contemporary History, University of the Basque Country, Spain. He edits the Journal of Tourism History, and his most recent book, with Keith Hanley, is Constructing Cultural Tourism: John Ruskin and the Tourist Gaze (2010).